Orson Welles – actor, writer, radio performer, theatre director, storyteller and voice to 1970s commercials for sherry and frozen peas is one of the most remarkable artists to have worked in the medium of film. His debut movie Citizen Kane is often voted the greatest film ever made and half a dozen of his other pictures are to be found in many critics and filmmaker top ten lists around the world. Welles was a prodigious talent who never really fitted in with the system. After Kane he made The Magnificent Ambersons – a film that was removed from him by the studio and re-edited. From then on he would make films for a variety of backers and producers in both the USA and Europe. Chimes at Midnight was made with money from Spain, France and Switzerland and included among its production team longtime Bond producer Harry Saltzman. 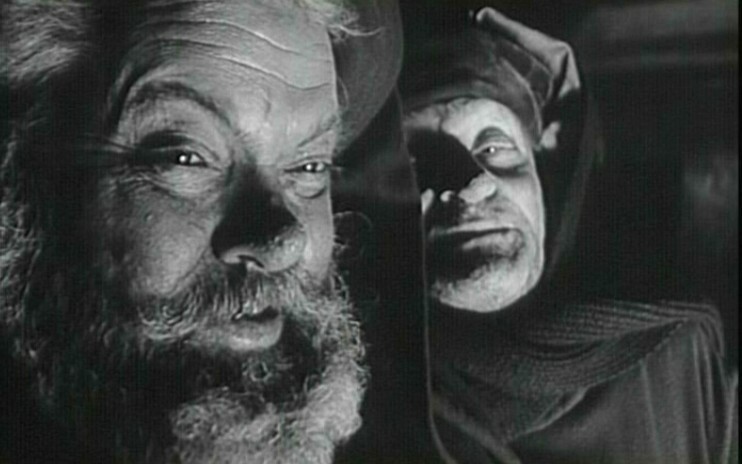 The film stars Welles as Shakespeare’s comic hero Sir John Falstaff and weaves together extracts from five of his plays. The black and white cinematography by Edmond Richard is powerful, the film stars an extraordinary international cast and has narration by Ralph Richardson. Chimes at Midnight is funny, moving and at times both spectacular and realistic – notably in the scenes depicting the Battle of Shrewsbury whose influence can be seen in such diverse films as Braveheart and The Saving of Private Ryan.